Thurston House Times – Holidays at the Waterhouse! Thurston House Times – Maitland B&B almost ready! Thurston House is undergoing a minor yearly facelift. The wraparound porch floor has been refreshed, the sleeping porch is getting new corner brackets and screens and the innkeeper is having a Maine recharge. Just imagine how wonderful it all will be when we reopen on 10/9! October begins all the wonderful events our area is known for. Go to our newsletter for more information… Next comes a new website…keep tuned! Thurston House Times – What’s happening? Thurston House is temporarily closed so that the upstairs sleeping porch and a few other minor things can get a facelift. 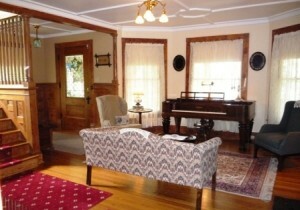 We do everything possible to make Thurston House gorgeous for our guests! Be the first to come back once we are finished. We reopen to bed & breakfast guests on 10/9, and that just happens to be the night of the Maitland Historical Society Event – An Evening in the Grove….book now! 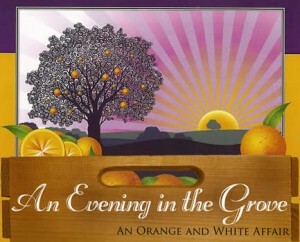 Plan ahead for the yearly Maitland Historical Society’s fundraiser – An Evening in the Grove. 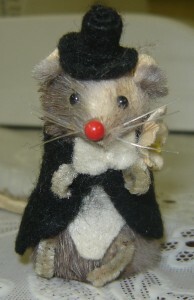 There are great auction items, wonderful door prizes, plentiful food & drink…. This years event will be held 10/9 at 6:30pm at the Sheraton Maitland. It is just minutes from us so book your bed & breakfast room now, buy your tickets online and pack your clothes for the orange & white theme. Thurston House Times – Maitland book! HOT OFF THE PRESSES!!!! I just took delivery of a brand new book, Images of America – Maitland. 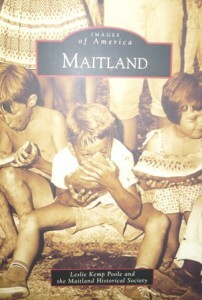 It is a beautiful book chronicling the history of the City of Maitland from it’s start as Fumecheliga (the muskmelon place) to today. It was written by Leslie Kemp Poole with a lot of help and resources from the Maitland Historical Society. You can find them for sale at Thurston House as well as other locations throughout the city. Thurston House Times – Antique Tools! The Mid-West Tool Collectors Association and the Maitland Historical Society will stage an antique tool show & sale on August 15th. There will be displays and demonstrations of tools & machinery from 1885 to 1910. 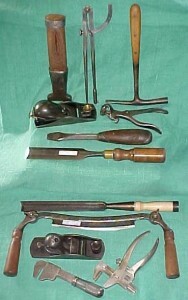 There will also be tables for buying, selling and trading antique tools with related items. Proceeds will benefit the Waterhouse Carpentry Shop Museum, which was built about 1884 by Maitland settler and builder William H. Waterhouse. The museum is on the National Register of Historic Places. The show is held at the Maitland Civic Center, just a short stroll from Thurston House. The show is from 8am – 3pm, and costs $2. 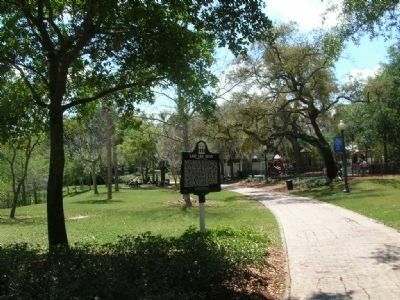 North Orlando – Maitland Arts Festival Coming UP!! The Maitland Chamber hosts it’s yearly Spring Arts Festival this weekend, 4/18 & 4/19. Situated around beautiful Lake Lily, it’s a great way to spend the day. Lake Lily Park is just a short and pleasant stroll from Thurston House. Rooms are still open!